The life of a big-time college recruit is filled with a few more certainties than that of most teens. Sunrise, sunset and homework? Yeah, they get those, too. But one of the real perks — or nuisances — of being a highly sought-after recruit? The letters. 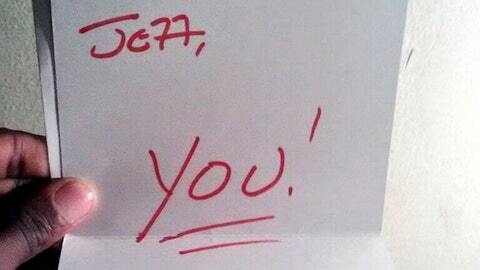 The hundreds and hundreds of letters from college coaches. Well, the coaches know this, as well, so making their letter stand out and avoid the latest batch headed for the trash can is becoming somewhat of an art form. We give you Virginia coach Mike London and his pursuit of Jeffery Farrar out of Upland (Calif.) High. Farrar actually committed to the Cavaliers in August; no word on when this letter actually came in. 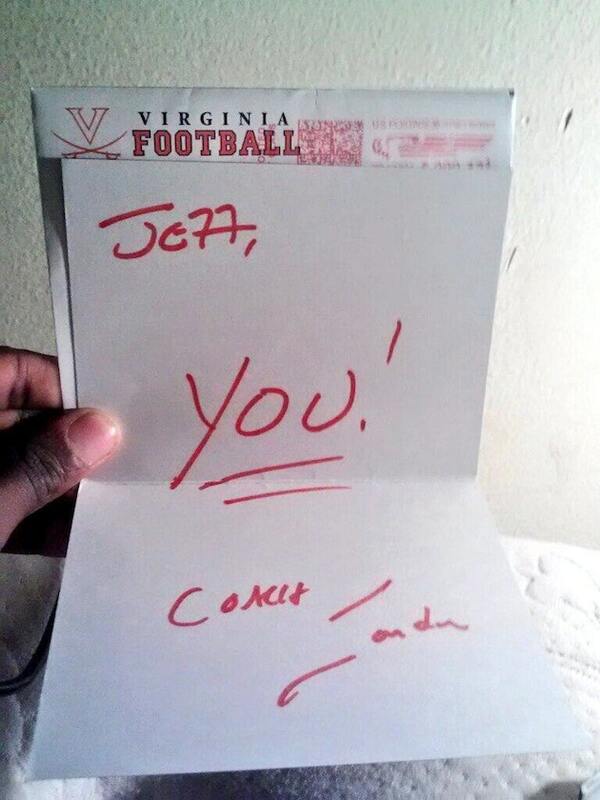 Even if the letter came after Farrar committed, the letter will get Virginia additional publicity.